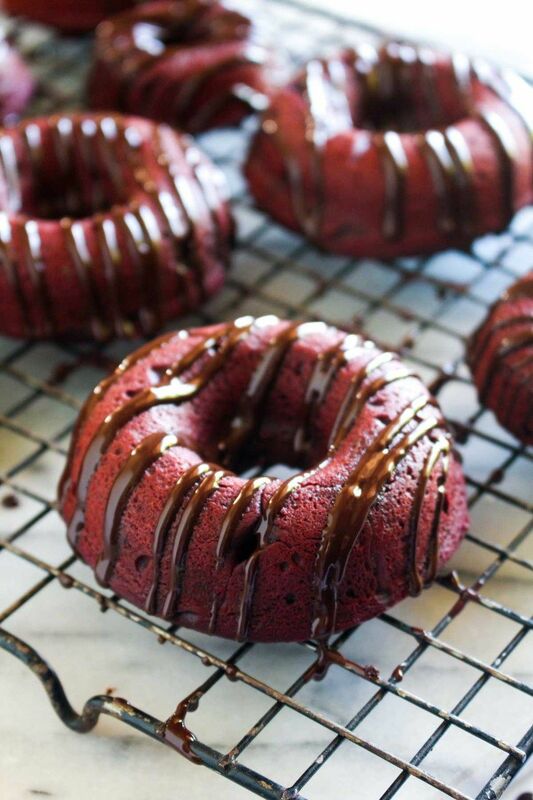 These Baked Double Chocolate Beet Donuts are deeply chocolaty, rich and have the perfect soft texture. This healthy dessert recipe is vegan and gluten-free. Preheat your oven to 350 degrees. Spray 2 donut tins well with nonstick spray and set aside. In a blender, or food processor, whirl together all of the wet ingredients until they are silky smooth. Add the wet into the dry and mix to combine. Stir in the half of the chocolate chips and spoon the batter into your prepared donut tin, filling the circles 3/4 of the way full. Bake for 13-15 minutes, or until the top of the donuts are set when you gently press them with a finger. Allow to cool in the pan for 5 minutes. Remove and cool on a wire rack.